CIFE awards are keenly contested. Award winners tend to excel in a number of areas and College Prizes specifically aimed at students who have made an exceptional all-round contribution to college life. 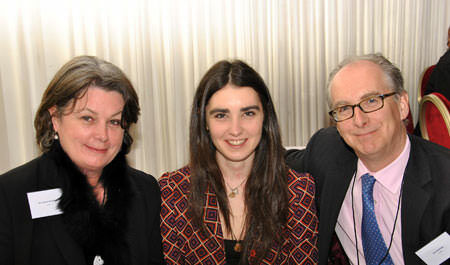 Emma Mackilligan (pictured below with her parents at the House of Lords Award Ceremony) came to Collingham in 2009. She excelled at GCSE and proceeded on to the A level department where she completed three A levels, achieving a grade A in every unit of every subject taken, and 100% for English Literature at A2. Creative writing has always been her passion and she is currently in the first year of the celebrated English Literature with Creative Writing degree course at the University of East Anglia.